Chuck Mangione (Born November 29, 1940) is an American flugelhorn player and composer who achieved international success in 1978 with his jazz-pop single, "Feels So Good". Mangione has released more than thirty albums since 1960. Throughout the 1970s, he was a celebrity. His purposely lightweight music was melodic pop that was upbeat, optimistic and sometimes uplifting. Mangione's records were big sellers yet few of his fans from the era knew that his original goal was to be a bebopper. His father had often taken Chuck and his older brother Gap (a keyboardist) out to see jazz concerts and Dizzy Gillespie was a family friend. While Chuck studied at the Eastman School, the two Mangiones co-led a bop quintet called the Jazz Brothers that recorded several albums for Jazzland, often with Sal Nistico on tenor. 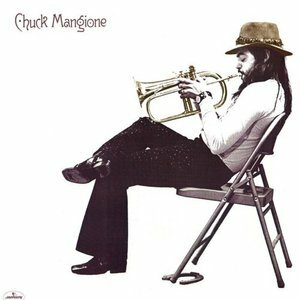 Chuck Mangione played with the big bands of Woody Herman and Maynard Ferguson (both in 1965) and Art Blakey's Jazz Messengers (1965-67). In 1968, now sticking mostly to his soft-toned flugelhorn. Two members of Mangiones band sadly perished in the Colgan Air Flight 3407 accident outside Buffalo, NY. Coleman Mellett, 34, and Gerard "Gerry" Niewood, 64, was arriving for a Mangione date at Kleinhans Music Hall. Niewood was a Rochester native who at 14 played baritone saxophone on Mangione's first record, "Have I Told You So," reissued as "B'bye" on Mangione's "Children of Sanchez" album.